With more than 1,000 people moving to Texas everyday, the Texas economy is booming. There has never been a great need for merchant cash advance than today. Small businesses are looking to fund expansion and operations, creating a need and opportunity for ISOs to close the credit gap. 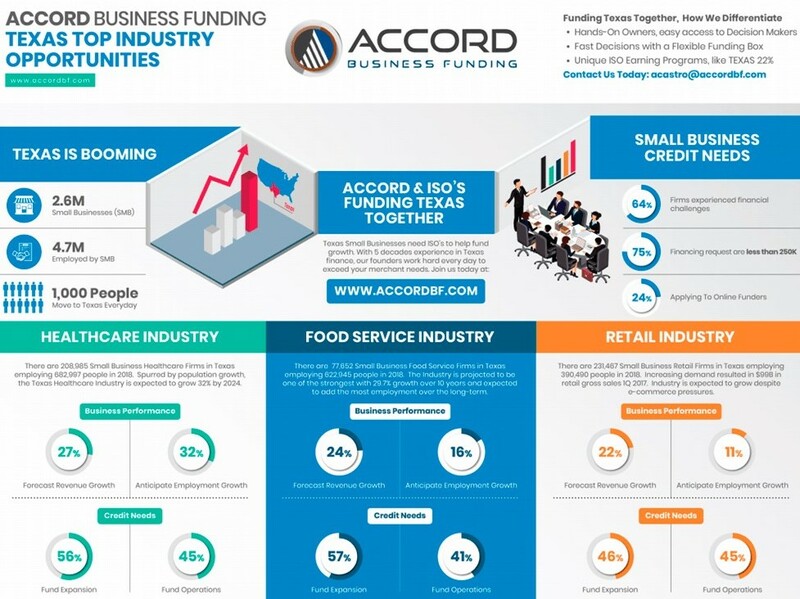 At accord, we fund Nationally, but Love Texas deals. We have unique relationships that enable us to be more aggressive meeting your merchant needs. Download the PDF for latest growth & demand metrics for 3 top industries; Healthcare, Food Service & Retail. Then join us for max earnings, up to 22%. Scroll below for additional Texas Business information and visit often as we refresh with the latest information to support your Texas initiatives. Texas is where we hang our hat and we call home. And Texas is where you earn max incentives with accord. Our programs are the most competitive and designed to drive meaningful relationships with our ISOs. The Texas Economy grew >5% 2H of 2017, and small business was a big part of that growth. 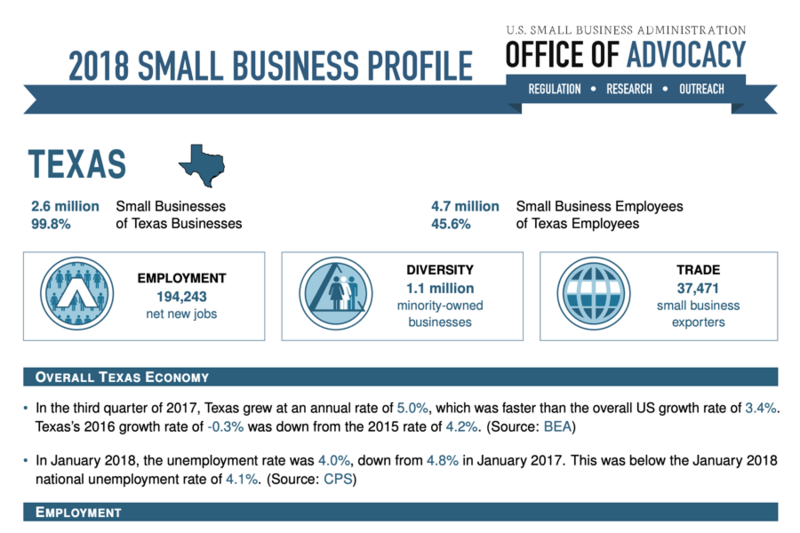 Click the image to download the SBA’s Texas 2018 small business profile. Where you will find industry-specific information for your use. 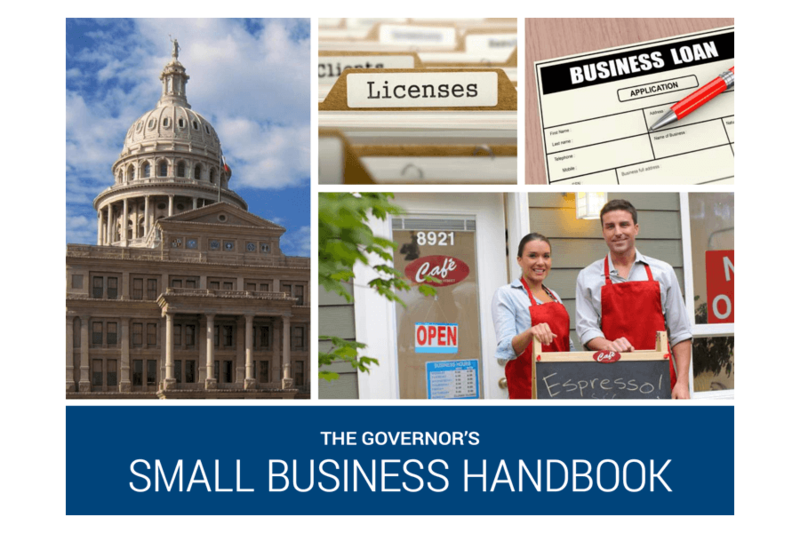 Whether new to the Texas business market or have an on-going concern, this handbook is intended to provide general guidance and assistance as you develop and expand your business. This book is not intended to serve as a legal, accounting or professional services/advise document. The Federal Reserve Banks SBCS is an annual survey providing small business information on financing needs, decisions and outcomes. 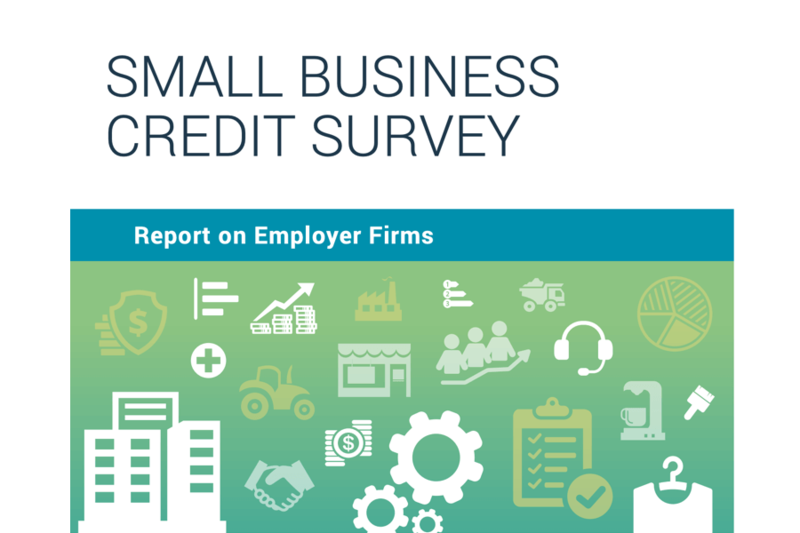 Using this report along with the Texas SBA information will provide useful insights on small business needs, requirements and opportunities by industry. This information may prove helpful as you think about marketing efforts and where to invest for growth.